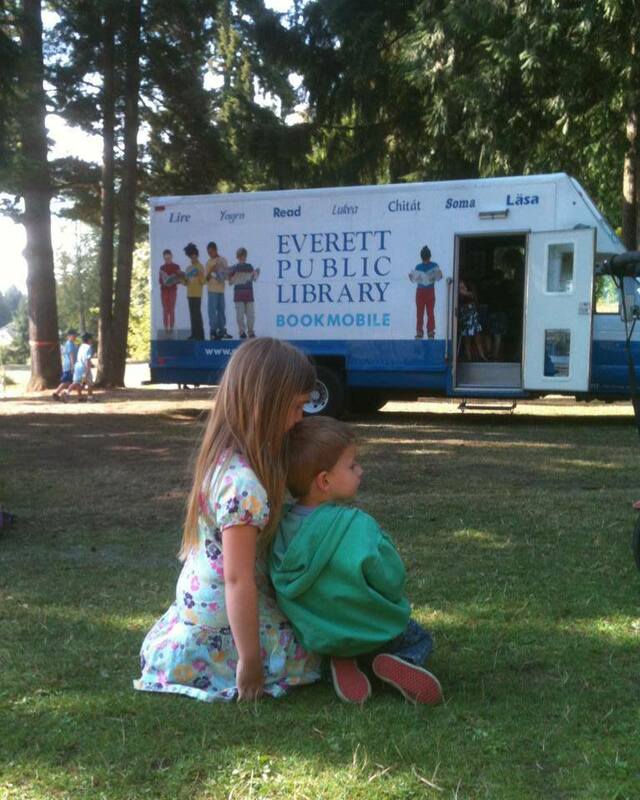 Everett has had a long history of taking the library out into the community. 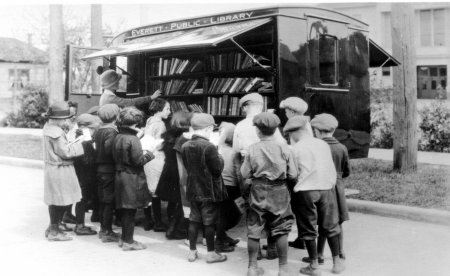 Bookmobile service began in May 1924 when the prohibitive expense of operating branch outlets in the community caused the library to invest in a Ford Model T truck modified to serve as a “book wagon”, a traveling mini-library. 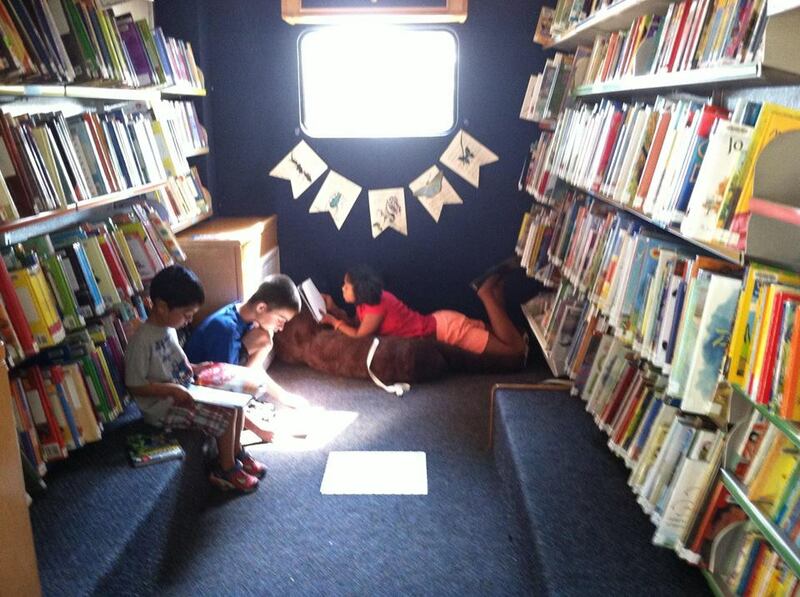 Named Pegasus after the flying horse of mythology, it was the first bookmobile in Washington State. By the time this photo was taken in 1945, Pegasus was showing her age. After many years of service Pegasus was retired in 1950. The current bookmobile was purchased in 2004 and has served Everett preschools ever since. I have been the bookmobile librarian for the last two school years and would see about 700 children each month at area ECEAPS, Headstarts, daycares and private preschools. The typical visit would include a full storytime followed by a visit to the bookmobile where each child had the library experience of selecting and checking out a book which they would read and care for that month. These were children who often did not have the opportunity to visit the library on their own because of busy work and family schedules. These current photos were taken at a children’s concert at Silver Lake last summer. 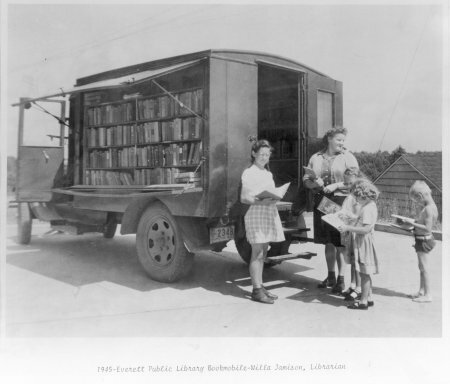 Sadly, this long history of Bookmobile Service in Everett is coming to an end this month. Due to the City reducing the library’s budget by $200,000, the Library Board had to make the very difficult decision of cutting Outreach Services. I am inspired by this librarian who was an Outreach Librarian in New York City. 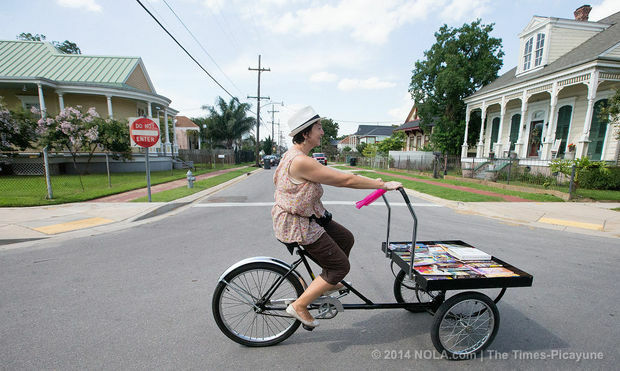 When her job was cut because of the budget, she moved to New Orleans and started up a bicycle mobile service to the children of the Lower 9th Ward. She received the first ever Lemony Snicket Award for her service and she gets some good exercise also. We do have some bookmobile themed books in the library which may be of interest to you. 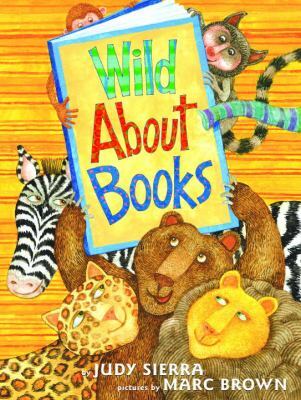 The children’s book Wild About Books by Judy Sierra is a fun read about librarian Molly McGrew who drives the bookmobile to the zoo where the enthusiastic animals literally and figuratively devour the books. This is a great rhyming story which is perfect for reading aloud over and over again. 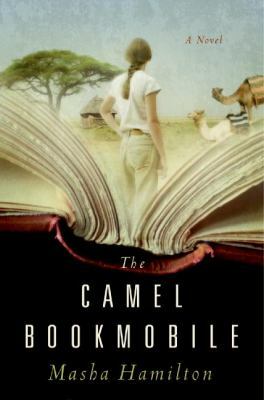 The Camel Bookmobile by Masha Hamilton is a novel about Brooklyn librarian Fiona Sweeney who wants to do something that matters, and she chooses to make her mark in the arid bush of northeastern Kenya. By helping to start a traveling library she hopes to bring literature to far-flung tiny communities where people live daily with drought, hunger and disease. Her intentions are honorable, and her rules are firm: Due to the limited number of donated books, if any one of them is not returned the bookmobile will not return. But, encumbered by her Western values, Fi does not understand the people she seeks to help. And in the impoverished small community of Mididima, she finds herself caught in the middle of a volatile local struggle when the bookmobile’s presence sparks a dangerous feud between the proponents of modernization and those who fear the loss of traditional ways. I will now be working full-time inside the library at both the Evergreen Branch Library and the Main Library. Come see me in the library! This entry was posted in Book Discussions & Events and tagged bookmobile, History, Northwest History by Leslie. Bookmark the permalink.